Grappling with grief is hard enough without repeat visits from the deceased. Pearl deals with death, life, and family in this haunting, humorous, and poignant debut. The world can tip at any moment… A fact that fifteen year old Pearl is all too aware of when her mom dies after giving birth to her baby sister, Rose. Mom, though… Mom’s dead but she can’t seem to leave. She keeps visiting Pearl. Smoking, cursing, guiding. Told across the year following her mother’s death, Pearl’s story is full of bittersweet humor and heartbreaking honesty about how you deal with grief that cuts you to the bone, as she tries not only to come to terms with losing her mother, but also the fact that her sister, The Rat, is a constant reminder of why her mom is no longer around. Life is hard enough when you're fifteen, without losing your mother as well. Pearl's mother dies giving birth to her new sister Rose, but to Pearl, she's simply known as The Rat due to her premature birth. The only father she's ever known seems to have forgotten about her, and spends all his time at the hospital waiting for The Rat to grow strong enough to come home. But it isn't home anymore without her mother. She's alienated herself from her peers, including best friend Molly. She feels no one understand what it's like to lose a parent and gaining a sibling you don't want. She blames The Rat for her mother's death, closely followed by her step father, if only he didn't want a baby, her mother would still be cracking jokes, smoking and cursing her mother in law. But just as grief threatens to pull Pearl under, her mother appears, but interacting with a figment of your imagination is no substitute. The time has come when The Rat is now strong enough to be brought home, and Pearl's father is ecstatic. But with mounting bills and a household to keep, he has no option but to return to work, leaving Pearl holding the baby, literally. Pearl can't cope with The Rat, and takes her troubles to elderly next door neighbour Dulcie. But Dulcie is having problems of her own, her failing health is forcing her to sell and move into a care facility, with her grandson Finn helping to maintain the house in the meantime. It seems that Finn is drawn to Pearly when she's always at her worse, frazzled and on the verge of breaking down. When it all becomes too much, Pearl turns to an old photograph of her biological father, a man who has never been a part of her life. She feels she has no one, with her estranged grandmother and father cooing over The Rat, she leaves. She leaves behind the apparition of her mother, her budding friendship with Finn, Molly, her former life and The Rat, all for a fresh start. But sometimes what you need is right in front of you, if only you're willing to try. 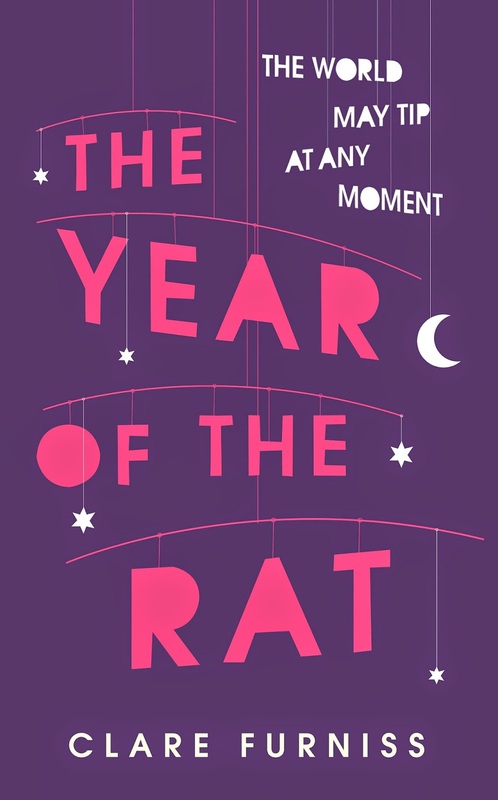 Year of The Rat was an emotional read, and reminded me of Heartbeat by Elizabeth Scott. Same concept, in which the main character loses her mother and cannot cope with the introduction of the new baby left behind. I felt for Pearl, she carries so much anger and guilt and doesn't know how to let it out and begin to allow herself to heal. The storyline is told over a period of a year and begins at her mother's funeral. Pearl is a likable character, but copes with her loss with only her own feelings being considered. She's only fifteen, and I can't even begin to imagine how it feels to lose your mother at such a young age. She retreats within herself, refuses the call Rose by her name and believes that now her step father has his own biological child, she's no longer needed. But hope springs in the form of Finn. Finn isn't her savior, he's barely a romantic interest, but for the first time since her mother passed, Pearl finds a reason to smile again. It's beautifully written, and first time author Clare Furniss takes the reader on an emotional journey following Pearl and how she needs to rediscover herself and her place in the world. I loved seeing Rose grow, the babbling baby noises and smiles as she grows is simply magic and holds a realism that we rarely see in contemporaries. The last page reduced me to tears, it was an emotional and heartwarming ending that endeared me to Pearl even further. I simply loved it. This sounds like a crazy emotional contemporary read (which I've actually been getting into lately) that I will definitely be checking out! Finn sounds a little like Bodee in Faking Normal, a kind of uplifting friend to have after a loss. Added it to my TBR :) Great review! This sounds very very sweet, but oh so sad at the same time! I couldn’t imagine losing my mum let alone having to look after a baby that took her life. Thanks for such a great Review Kelly, I’m going to be adding the to my TBR list! I can't even begin to imagine the loss of losing your mother at 15. This sounds like a very emotional read. I'll have to add it to my TBR. Great review, glad you enjoyed it! Stories like this is what makes the Contemporary genre shine. The character development, the tumultuous but uplifting and fulfilling journey of self-realization, the lessons we can impart from it... I think this book has all three, from what I could gather in this review. That's a gem in my book! Great review, Kelly! I am so glad that you enjoyed this book! I've seen it around a bit lately, and I am quite intrigued by it.